You got mail- this is the new carrot of the racing rabbit. Oops! Don’t feel disappointed by the comparison; modern times have made us all racing rabbits. And this is how the digital world perceives emails, as a tool of communication. Communication is an essential ingredient and great fodder for information-hungry Citizens. Those who are in the field for everyday work and labor, feel the excitement of fresh communication every now and then. So when a mail strikes at their inbox, they go for it. We work at this junction. Obviously, for serving a large interest of people, this is the tool which experts prefer. The world around us is only a click away is not only a fanciful phrase, but it is also a soothing reality. The wise and the enterprising saves his time, energy and costs to spread his wish, product, desire, service, a concept in one go, that is, by Bulk Email. Value One offers Bulk Email Services for running your successful Email campaigns for every need. With advanced features, you can avail all the benefits of digital age marketing by this service. By targeting consumers who know and acknowledge your Brand, who subscribe for your emails-you can be sure of reaching your customers directly. Segmentation of target audience allows you to send only relevant emails improving client engagement and ensuring the success of your campaign. Catering to impulsive buyers, emails can charm consumers with tempting calls to action and direct sales links giving you great results. With great feedback in terms of conversion rates, open or click-through, you can adjust your marketing campaigns easily. With global access, you can reach consumers beyond the shores with Bulk Emails. 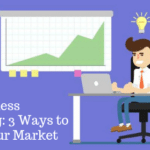 Instant results with excellent ROI make bulk emails a highly productive and successful marketing tool. Value One combines all these advantages in its excellent features giving you great results every time. Value One gives you editing facility to create and edit your emails to evolve professional emails. You do not require any high-level qualifications to write and make email templates. Your emails can be personalized with options like name, age etc. to give a human touch to your emails. You can schedule when your consumers get their emails so that they are at the convenience to read your message. Value One Bulk Email Service is an easy to use tool where you can simply import or upload content to give an instant start to your campaigns. You can even evaluate your emails for vulnerability to spam so that your emails do not end up in the spam box of your clients. You can even preview the look and feel of your email before sending with preview tool for popular IDs such as Gmail, Outlook, Yahoo, and Hotmail. Forward to a friend option in your mail gives you more coverage expanding your reach. 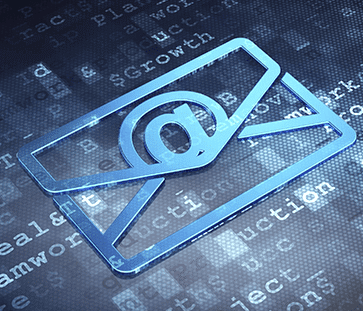 Value One Bulk Email Service can be used easily offering simplified management of subscribers. You can import or export your contacts easily. You can segment your audience into targeted lists filtering on the basis of common features such as area or interests. Ensuring quality with perfect formatting, errors such as duplicate emails are totally ruled out. No complicated steps with simple suppress tool to keep out contacts that must not be sent emails and easy to use unsubscribing option. Bounced emails are cleared and processed immediately so that you always get to see a clean list. Reports prepared by professionals at our end can help you to analyze your email campaigns so that you can improvise further. You can access reports about how many people opened your email or clicked through with link tracking report. E-commerce conversions can be tracked with the help of Google Analytics that also tells you a number of visits. Bounced and unsubscribed emails are also reported for further action. Value One ensures that your emails get delivered with efficiency in all circumstances. You can integrate your email campaigns with social media sign-ups or website sign-ups to get a greater outreach. So, whether you require Marketing emails, Transactional emails or Notification emails, you can use Value One Bulk Email Service for optimum output. Generating new orders and leads were never so easy. Increased Sales and Brand Awareness are only a few gains; email marketing is the most viable tool for marketing at low costs. 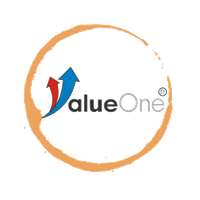 Value One offers you the best shot at it!